Biloxi, Miss. January 23, 2015 – The American Shrimp Processors Association (ASPA) supports a new food safety bill introduced Tuesday in the Senate: Imported Seafood Safety Standards Act. This act will tighten restrictions on foreign seafood that is exported to the U.S. This bill, introduced by Sen. David Vitter (R-LA), chairman of the Small Business & Entrepreneurship Committee, will make important reforms to strengthen testing standards for foreign seafood exported to the U.S., which will directly and positively impact the American shrimp industry. The Imported Seafood Safety Standards Act will ensure that all seafood exported into the U.S. will go through the same food safety regulations as mandated for U.S. fisheries. “Our members strive to meet all regulations put upon the American shrimp industry, and it’s important that this bill pass so foreign shrimp producers are held to the same standards. 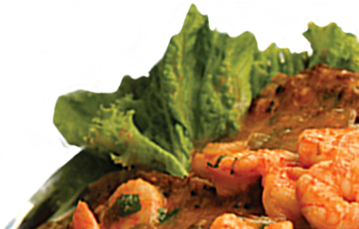 We support any bill that helps manage the obstacles foreign shrimp may pose to our consumers,” said Veal. ASPA is committed to fighting for fair conditions in the U.S. shrimp industry, and they believe this is a vital component of a generational industry remaining in business for several future generations. “It is our hope that local and national representatives will rally around this bill to support its passing,” said Veal. Increases inspection standards on foreign imported seafood to ensure that tainted or infected seafood does not reach the table of American families. The bill requires the foreign exporter meet US safety standards in order to export their product to the United States. It mandates increased inspection of foreign imported seafood and imposes penalties on foreign exporters who fail inspections and safety test. Enables states governments to assist in the inspection of imported seafood by providing them the authority and funded needed to help. Ends the practice of “port shopping” which can lead to infected seafood making its way into the market place. Imposes stiff fines on those who attempt to mislabel their production. Currently, 90 percent of seafood consumed in the U.S. is imported, and roughly 1 percent of it is tested. If passed, this bill will be the answer to a large problem for the American shrimp industry, along with several other American fisheries.